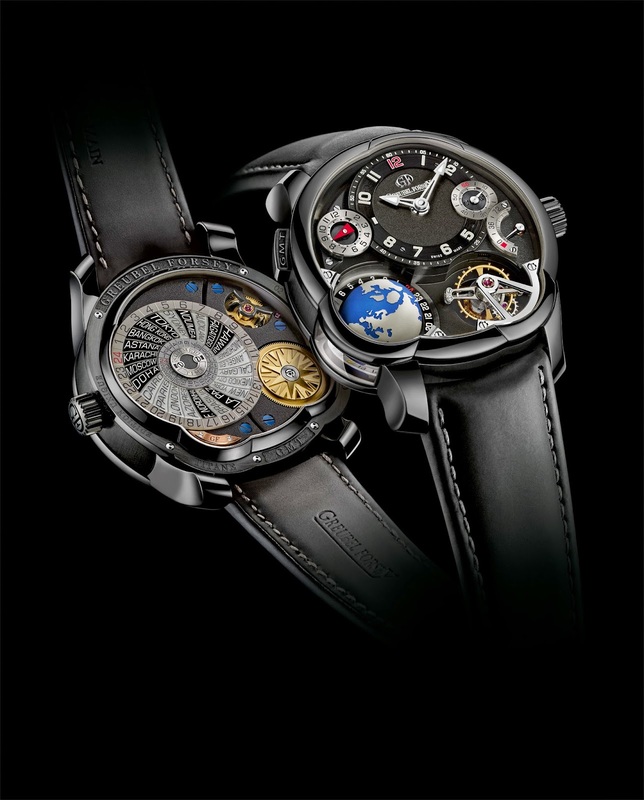 For more than a decade Greubel Forsey has been introducing highly creative ideas, each with a distinctive character. 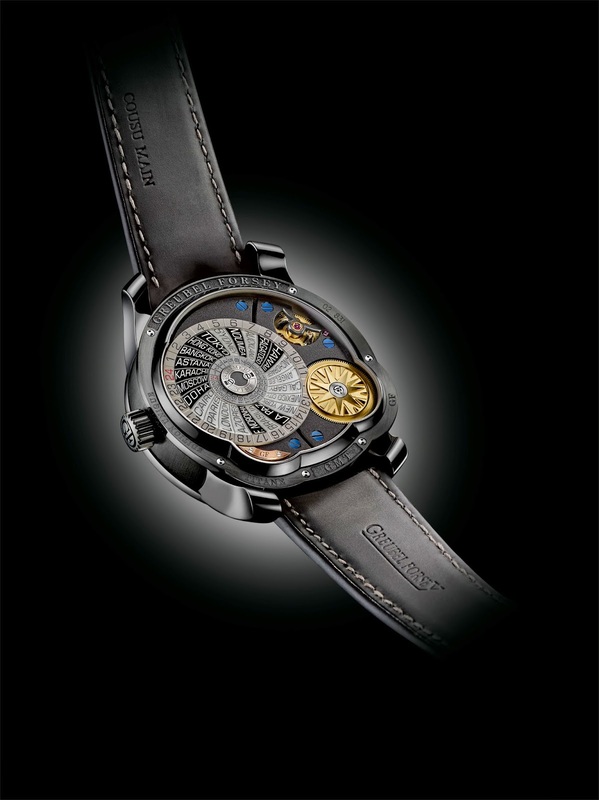 Here, for the second time, the company explores the contemporary timepiece with a titanium case. Treated with vacuum deposited ADLC (amorphous diamond-like carbon), in addition to its striking appearance, this deep black coating gives the watch a surface hardness significantly greater than natural titanium. 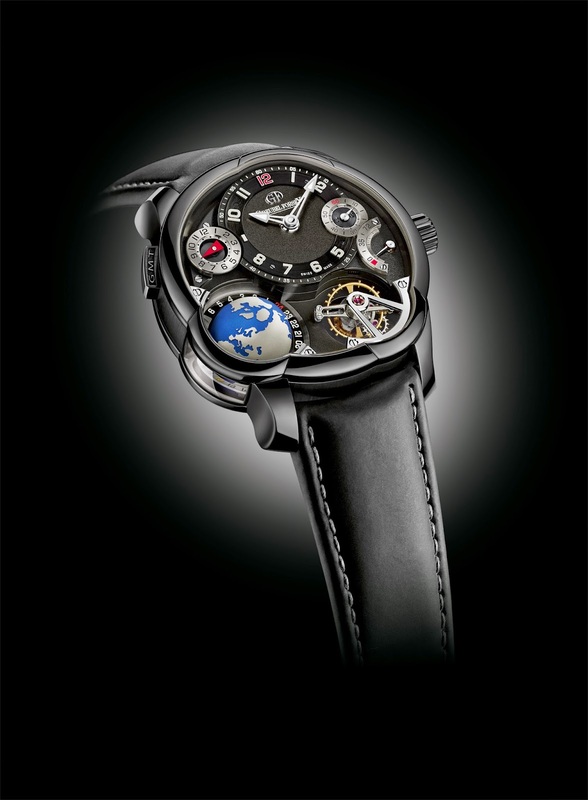 With the movement's main plate and bridges also in black finish, the palette of colors is more restrained. This helps to bring out the contrast between the different textures and surface finishes of each component's decoration. However, relatively stronger colors are used to subtly highlight all indications of time and technical information. The various dials and indication zones appear to be floating in the space around the terrestrial globe, evoking the night sky with the stars twinkling in their eternal orbits.